The PP1000 models are the universal precision drills for maize, sunflowers, field beans, unpelleted beet, pelleted beet, dwarf beans, soya beans, peas, and many other types of seed. It can be used for a whole diversity of applications and offers greater capacity through increased working widths. The PP1000 series is available with working widths from 3 to 6m, with flexibly adjustable row widths and a wide range of additional equipment. 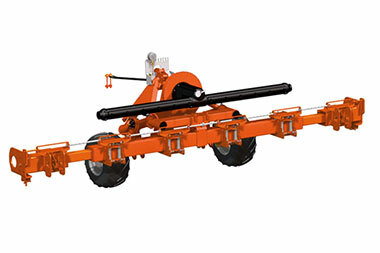 The arrangement of the idler wheels in front of the sturdy machine frame – built from 120 mm square-section tubing is featured only on Kubota precision drills and allows for example the use of flotation tires and an infinite adjustment of track with. All parallelogram pivot points with maintenance-free bonded bushes. All press wheels with maintenance free ball bearings. Chill cast coulters with quick release clamping to the coulter housing. Patented seeding heart without seals. 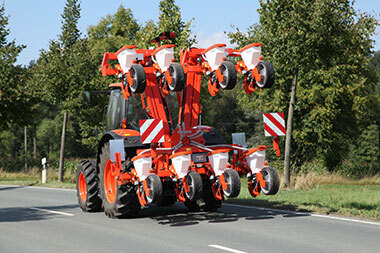 Suitable for all farm sizes, the frame of the Pneumatic Planter is available in working width from 3 to 12m, with telescopic, rigid, trailed and folding toolbar. 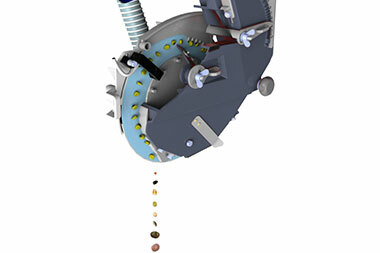 The sowing units – like the whole machine – are modular in design. 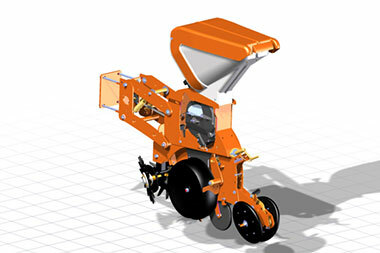 Standard sowing unit for conventional seeding in prepared conditions: maize coulter and Farmflex depth wheel 370mm (500mm optional), spring-loaded coverer and lifting device as standard. 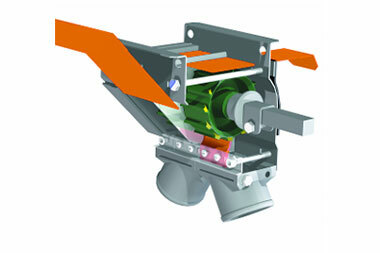 PP sowing unit: elements for mulch and conventional seeding. The patented seeding heart by Kubota has reduced maintenance costs to a minimum. This seed heart principal results in no loss of vacuum, and therefore a low vacuum requirement. 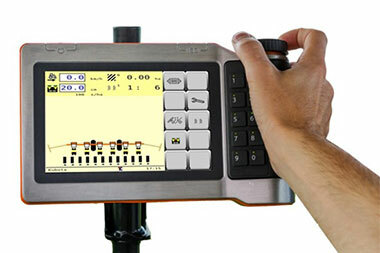 e-drive II – complete control and monitoring of the machine from the tractor cab in accordance with ISOBUS standard. With e-drive II, each sowing unit is driven individually via an electric motor. This enable an extremely compact design and smooth drive characteristics with low current consumption. All the data is entered and read out via an ISOBUS terminal like IsoMatch Tellus or Tellus GO. In conjunction with “close row” sowing widths of 37.5cm a further benefit of the e-drive II comes into play: Individual tramline switching. Tramlines can be set up for any spray width. The e-drive II features complete electronic monitoring of all machine functions including seed monitoring via an opto sensor. For fertiliser placement Kubota supplies hoppers for different applications. 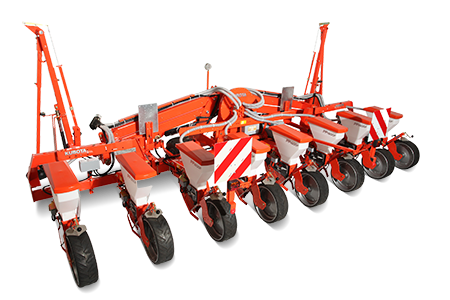 Fertilising coulter, standard seeding with narrow coulter design and stable, reliable construction, coil spring protection from sideways forces. All PP models can be equipped with micro granule applicators. The hoppers are made of special grade plastics and have a capacity of 35 litres. Depending on the working width the hoppers supply 2 to 3 seeding units. IsoMatch GEOCONTROL – Cost saving with immediate payback. 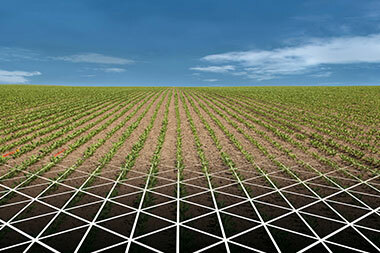 GEOSEED® – Precision at high end. GEOSEED® Level 1 is the synchronization in the machines working width. This improves the distribution of seeds up to perfection in parallel or diamond pattern: Positive effects are the best use of nutrients, water and sun. Also the wind and water erosion is decreased. 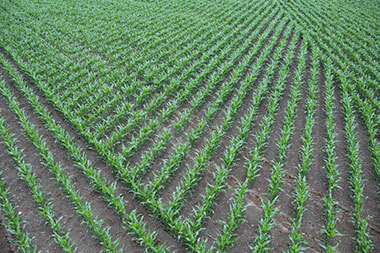 GEOSEED® Level 2 is the synchronization in the whole field. This is the necessary requirement for interrow cultivation, also across the seeding direction. GEOSEED® is the only system in the world, that makes this mechanic weeds control possible!